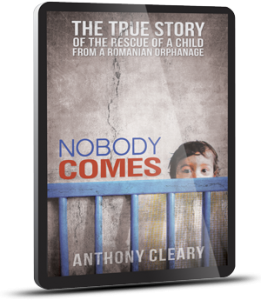 This is the true story of the endeavour to find, extract and adopt an infant from an ‘orphanage’ in post revolutionary Romania in the face of opposition from the most unexpected quarters. Obstacles erected by both the UK and the Romanian authorities populate the route taken by the author, who recounts the poverty and ever present corruption in the aftermath of the revolution, the horrors of Orphanage Number One in Bucharest, the indifference of the civil servants in both countries to the plight of the infants, and the struggle to raise awareness in both jurisdictions of the damage being caused to the children by the delay caused by their obstruction. The book also recounts the remarkable friendship which was forged with a Bucharest University graduate who offered his help as interpreter, guide and, ultimately, Godfather to the child who was rescued.